As the mild temperature and rain starts to melt away the snow collected around the city, officials at the Northwestern Health Unit (NWHU) are reminding the public to take precautions if a discarded needle is found. As the mild temperatures and rain start to melt away the snow across northern Ontario, officials at the Northwestern Health Unit are reminding the public to take precautions if a discarded needle is found. 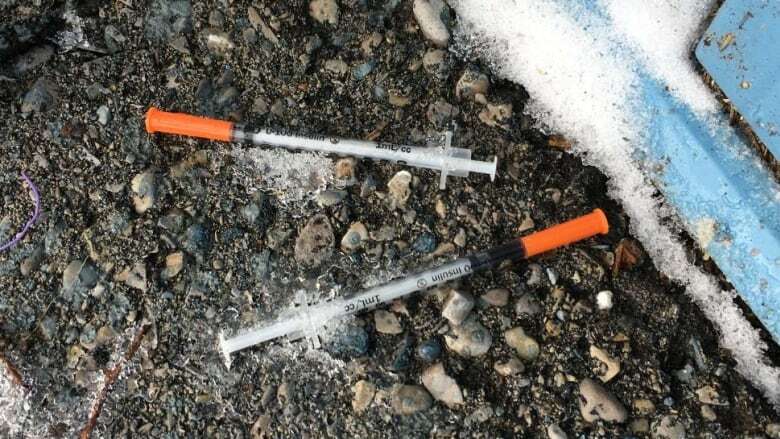 "We know that when the snow starts melting, sometimes a lot of things are left behind and improperly discarded needles can be one of them," the health unit's manager of sexual health and harm reduction, Gillian Lunny, told CBC News. The health unit offers services in a number of communities west of Thunder Bay. Lunny said every year, the health unit tries to "educate the public about what to do when they find a needle." But of course, she said that "if somebody is not comfortable to pick up a needle, they can call their local Northwestern Health Unit," as they "respond to calls to pick up." However, Lunny said there are ways to pick one up safely and dispose of it, as "the less amount of time a needle spends on the ground, the better." If possible, use gloves and tongs to pick up the needle. Never put the cap back on a needle. Place a needle in a hard-sided plastic container, point-end first, tightly seal and label "Needle." Wash your hands with soap and water or use hand sanitizer after picking up a needle. Return the needle to your local NWHU office. Never put needles down the toilet, in drains or in the garbage. She also said, for parents who are worried about their children picking up needles on the playground, the health unit also visits schools annually. "So we have an interactive sandbox where the kids dig through and we have pictures of needles, to help them identify ... even rusty needles and the message is 'don't touch,'" she said. The health unit's harm reduction program also offers free resources like mountable containers and needle pick up kits to help people safely pick up needles and dispose of them. "Picking up a needle, you can really do that safely, without poking yourself with it," she said, adding that the risk of infection is "incredibly low." However, if someone has an injury from a needle, Lunny recommended that they go to the local emergency department and get it treated right away. The program also offers training and equipment to community members, organizations and workplaces to support safe needle disposal and minimize the risk of exposure to infections.